The Mill and Mullen continue Acura's campaign with 'Walking Away From Explosions', directed by The Tilford Brothers of Reset. 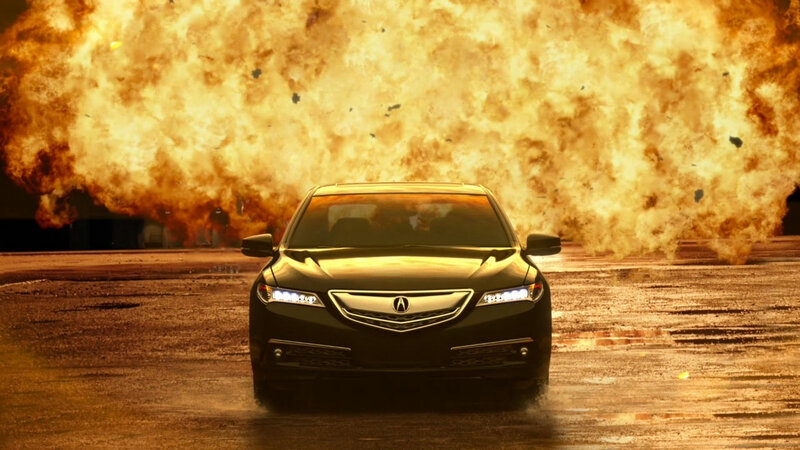 In this spot, a fiery blast dramatically frames the Acura 2015 TLX as it drives toward the camera. 2D lead artist Jake Maymudes oversaw the CG animation and live shots. Maymudes comments: "For the car, we used CG elements in addition to live action shots of it to maintain photorealism. For the background and explosions, we used onset photography. In order to create that huge blast we shot multiple practical fires individually and then added them together in post." Catch the other spots in the campaign here.